When a life-changing accident left Luca Antifora paralyzed and changed his life forever, his colleagues at Vodafone decided to truly show their support. By walking 600km from Luxembourg to London, they aimed to raise €100,000 towards a state-of-the-art exoskeleton that would help their friend to walk again. 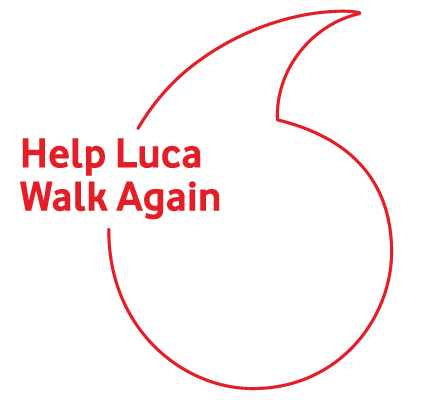 Our role in this amazing act of kindness, was to capture the human spirit found within not only Vodafone’s brand, but the journeys of both the walkers and Luca. To follow this amazing journey, we filmed a documentary that tracked the 25 walkers from start to finish. Through this, we not only managed to portray the core emotional aspects of Luca’s story, but also the sheer generosity of Vodafone’s team. And, by extension, the generosity of their brand. With the target smashed, happy tears shed and a new foundation designed to help disabled children in Luxembourg, it’s safe to say our campaign was a resounding success.